The dog days of summer are nearly upon us. With temperatures increasing, the heat waves can lead to a lot of health problems. Our body is comprised of more than 70% of water so it is very important to maintain the proper fluid balance in our body. 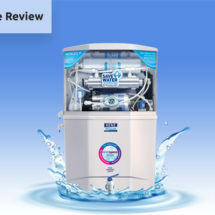 Increasing temperatures and outdoor activities during summer increase water loss through sweating. 2 How to know you are properly hydrated? 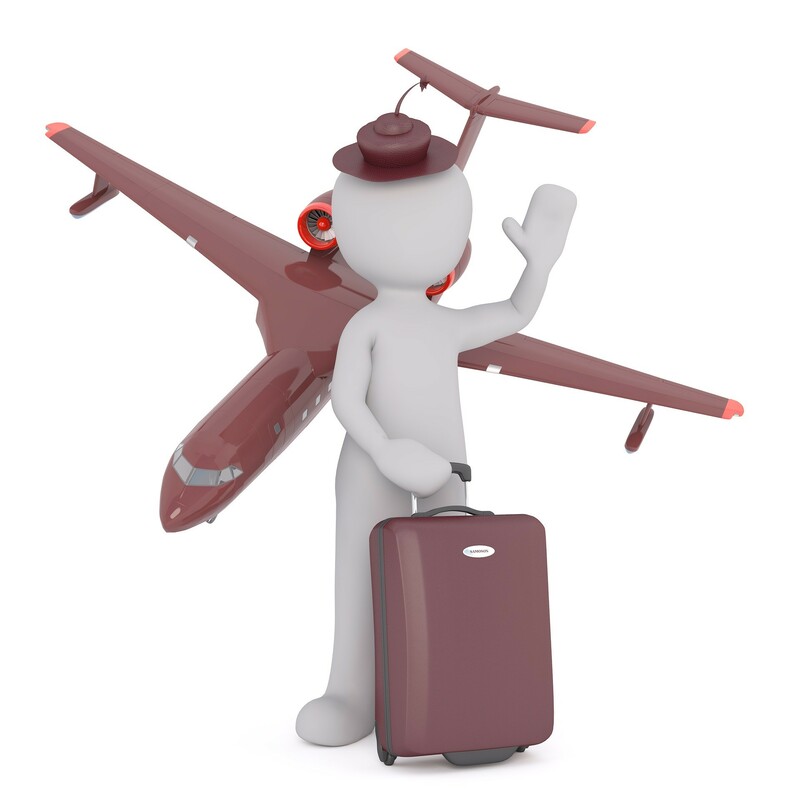 Anyone can suffer from dehydration when fluids especially water is lost from our body. The signs of dehydration include extreme thirst, muscle cramps, and fatigue. Dehydration can affect our brain because our brain is made up of more than 70% of water. If we don’t get enough drinking water during summer, it can affect our thinking ability and cognition. According to a report by National Institutes of Health, even if you don’t indulge in any activities, your body still loses a quart of water each day through sweating, breathing, urination, and perspiration. How to know you are properly hydrated? To know your hydration status, you can simply check the color of your urine. In case you’re hydrated, the color of your urine will be almost clear. If your urine is very dark in color, this implies that your body is dehydrated. 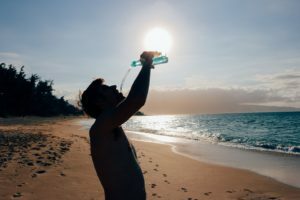 Unfortunately, many individuals are chronically dehydrated and don’t know about it, as they ignore their body’s thirst signals for so long time. Many a time people confuse thirst with hunger and you end up snacking even when your body needs a glass of water. Constant snacking, particularly consistent sugar cravings can be one shrouded indication of dehydration imbalance. Heat cramps are spasms and muscular pain that mostly occur in the abdomen or legs. It is often an early sign that your body is getting troubled by the hot weather. Heat cramps tend to affect those people who are active in a hot environment. 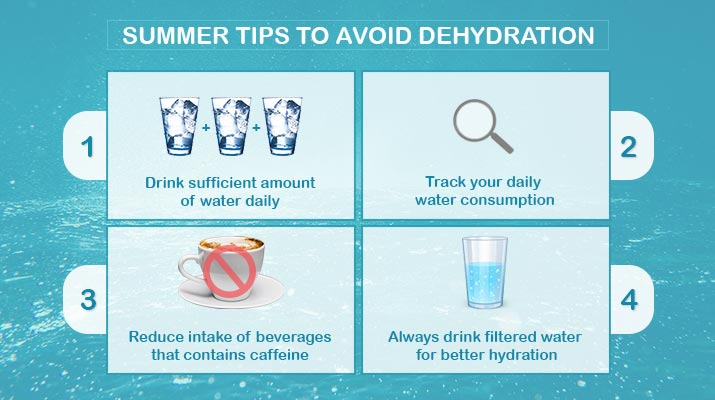 It can be prevented by maintaining a strategic distance from strenuous work or exercise in a hot weather and remaining hydrated. Heat Exhaustion is a condition that is caused by the loss of water and electrolytes in your body through sweating. This condition is more serious than Heat Cramps and often occurs if a person lives in a hot climate without having proper air circulation and does not drink sufficient amount of water. It is the most serious heat-related condition and be fatal if not immediately and properly treated. It is a condition in which the cooling mechanism of the body is overcome by heat, the body lose its ability to maintain body temperature and becomes very high. Heat stroke can quickly damage the brain heart, kidney, and other internal organs. The damage can get even worse if the treatment is delayed resulting in more serious complications. The best and easiest way to prevent dehydration is to drink lots of water. 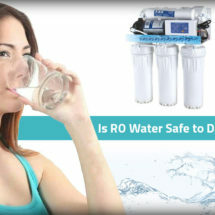 It is significant that your drink water even if you don’t feel thirsty, this will prevent you from becoming dehydrated. 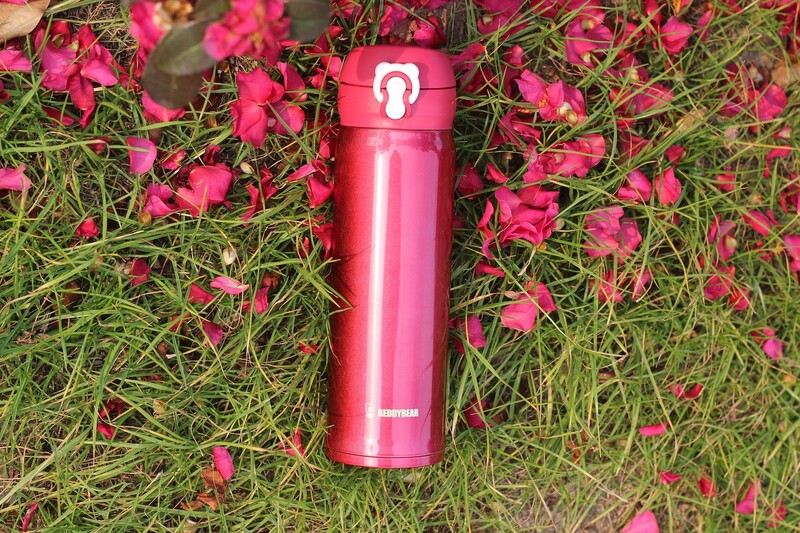 Make a habit of carrying a water bottle with you so that you can drink water throughout the day. Having a water bottle with you will be a good reminder for drinking water all day. Make sure you clean the water bottle as often as possible. Vegetables and fruits contain high content of water, therefore, eating them will prevent you from dehydration. You can also add them to your water to get a flavor in water without calories. To make you remind about drinking water get the advantage of a smartphone app to track your daily water consumption. You also set reminders for drinking water as many of us because of their work schedule don’t drink enough water. Avoid sugary drink or hot drinks like tea or coffee as these drinks can make the condition of dehydration even worse. In order to stay hydrated and curb your cravings, water is very critical for a healthy body. 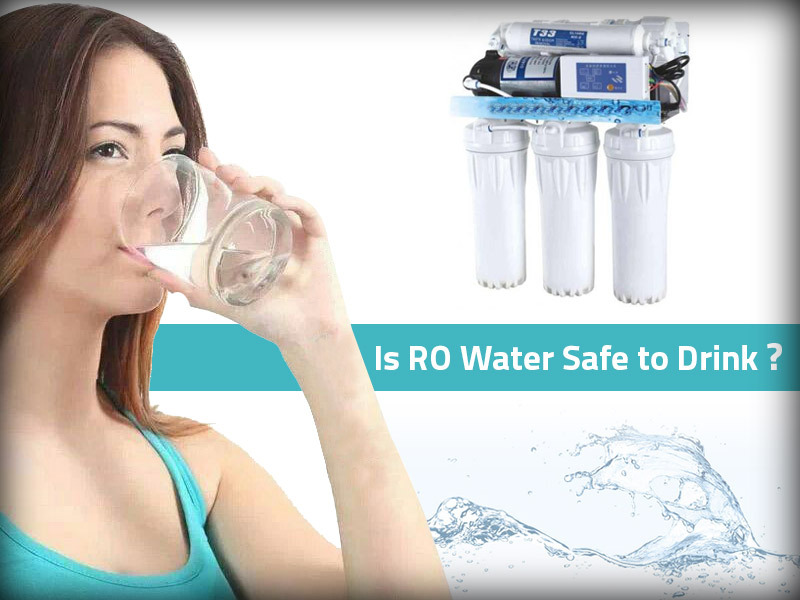 The purity of water is equally important as the impurities in water can also add complications to the condition caused by dehydration. 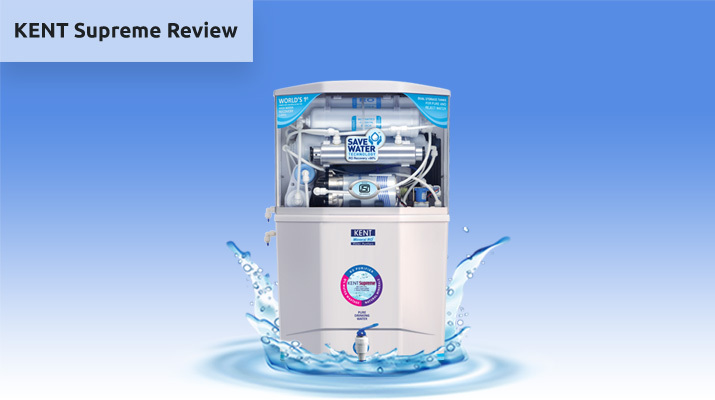 Having a water purifier is the best way to stay hydrated in a very healthy way. 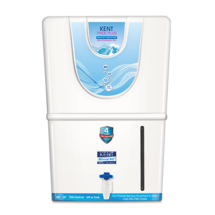 Some of the best water purifiers in India which you can choose for your home are KENT and Aquaguard. 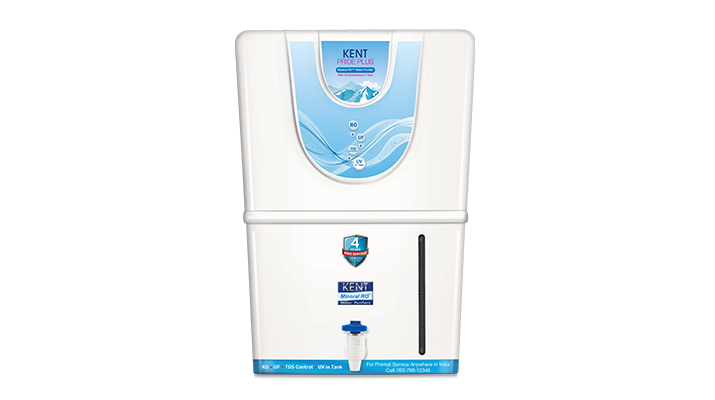 Kent water purifier even received the highest number of certifications in India for its quality and performance. Make a habit of drinking water rather than having soda or hot beverages as it not only saves your money but also lowers the calorie intake in your body. By consuming an adequate amount of water during summer will drinking your way to a healthy life. In this blog, you have shared some useful summer skin care tips which can help to stay hydrated throughout the day and that too with the remedies that are easily available.